What is the shop like? Facilities pics here! 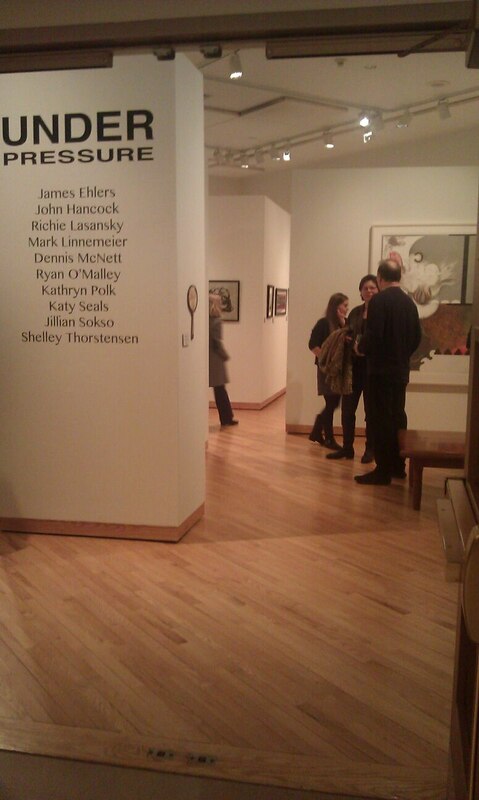 Informal Saturday critics are Ann Shafer and Tru Ludwig. They look at work and stay for dinner. 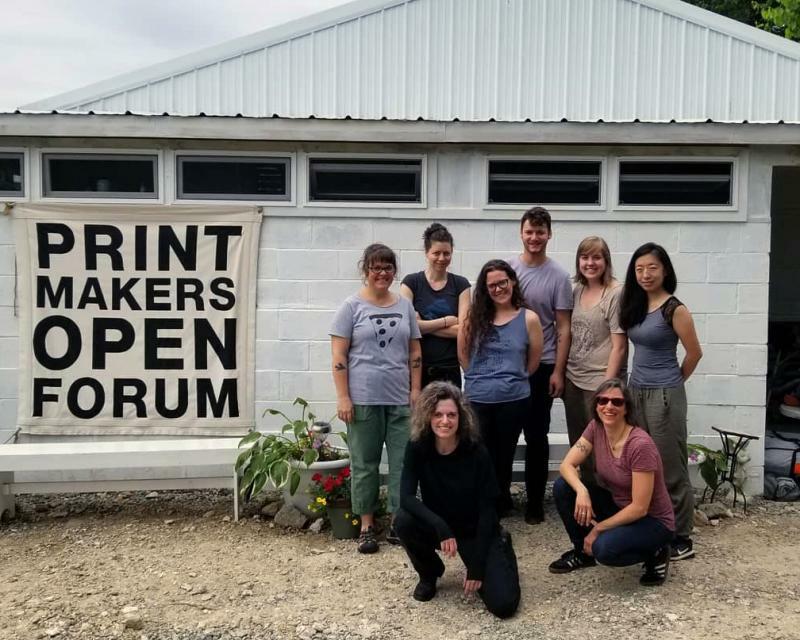 #PrintCamp2019 All Print Media Workshop Summer 2019 is a hybrid residency/workshop for serious established artists and printmakers who want to expand their practice. 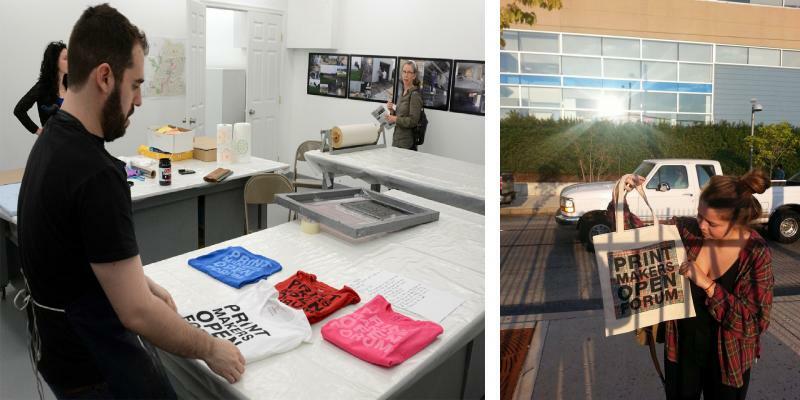 The intent is to create a coherent, hard- working/learning printmaking community under the direction of Shelley Thorstensen. Six participants are chosen through application. Applicants are asked for a proposal in part so that the workshop is weighted evenly in terms of media – and one area is not used or neglected more than another. 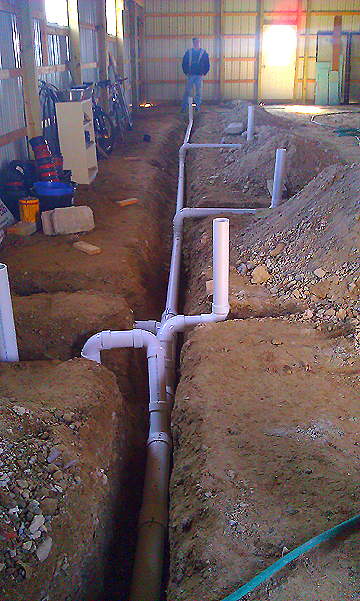 This will ensure the best use of the shop and materials. 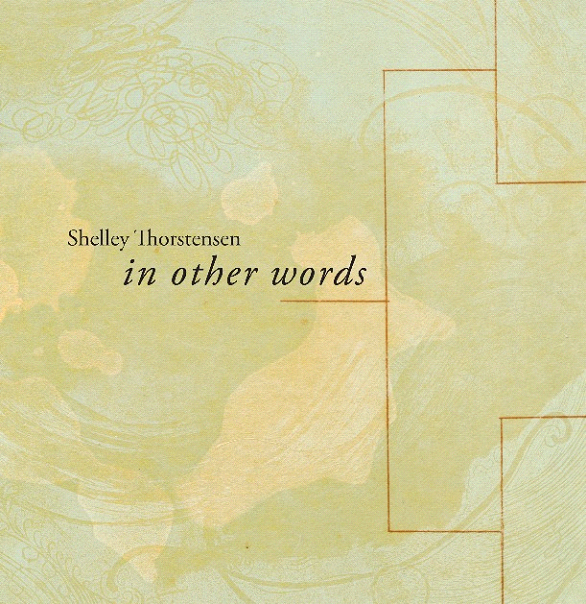 In the mornings, Shelley Thorstensen will begin the workshop with a series of demonstrations and ideas on printing, intaglio, lithography and silkscreen combinations - stencils, a la poupeé, chine collé, viscosity, multiple plates, relief, collage, and digital media. Possible topics that could come up are how to seamlessly incorporate handwork such as drypoint and mezzotint on various substrates, editioned monoprint, paper and polyester photo litho, hand-worked and photo based collagraphs, photocopy transfer, handmade rubber stamp patterning for chine colle, registration systems that are best suited to individual needs, considerations for content, scale, series, multiplicity, format, paper choice, and available matrices. Participants can work in one or more of these mediums, in combination or separately: Etching on copper, drypoint on plexiglass, stone/plate/photo/prontoplate lithography, silkscreen,wood/lino cut, plaster prints, monoprints, gelatin prints. 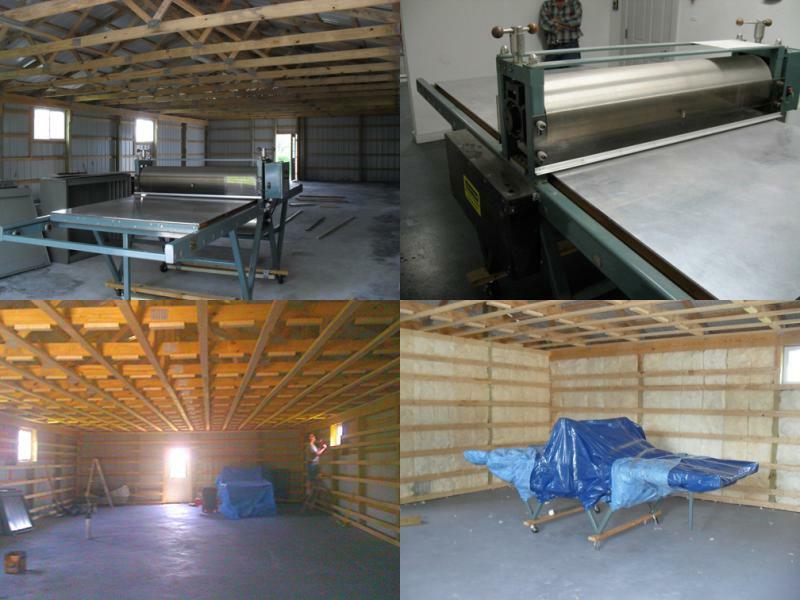 All participants will camp on the grounds next to the house and the 2000 square foot print shop. Camping makes the workshop less expensive than staying in motels, creates an all day experience and promotes a strong printmaking community. This is not a wilderness adventure! The property is a secluded acre on the edge of Oxford. There are showers, and bathrooms, the kitchen is open, there’s password protected wifi and we’re less than ten minutes walking distance to downtown. PMOF will supply the tents and the air mattresses. PMOF supplies the tents and air mattresses. There is shower for use, a refrigerator and a second bathroom in the shop. Use of the kitchen in the house is available to everyone. 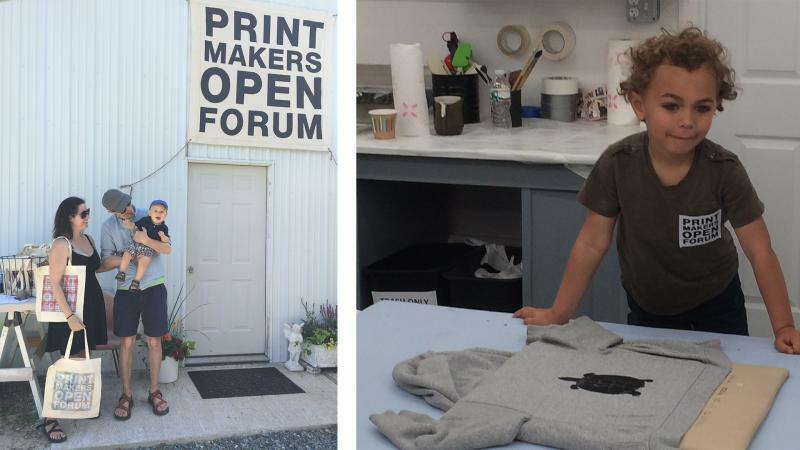 Printmakers Open Forum is located at 120 West Lancaster Pike, Oxford PA USA 19363, one hour west of Philadelphia in rural southern Chester County. If you do not have a car, we can arrange to pick you up from Philadelphia, Baltimore or Newark DE. 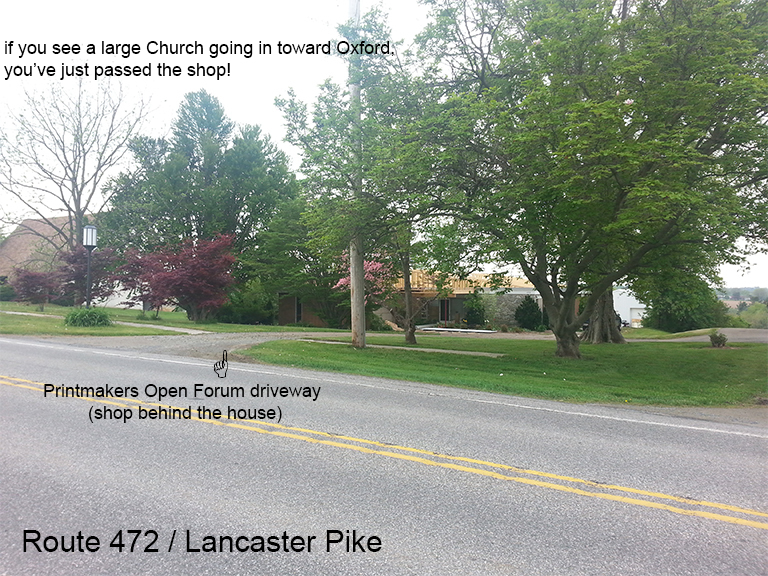 The town of Oxford, with restaurants and shops, is a mile walk or a quick drive. The printshop is open after hours on a buddy system basis. There will a PRINTCAMP monitor to oversee after hour work in the shop. Drugs and alcohol are not allowed at the camp and all participants are expected to act responsibly. At the start of the workshop, we ask you to share something print-related that you know with us – demo or images/powerpoint. We are aiming to create community that organically continues beyond the time frame of PRINTCAMP. The cost of the workshop is $500 plus $80 lab fee. Camping onsite defrays workshop expenses by eliminating lodging costs and creates a coherent, hard- working/learning community. You can work in one or more of these mediums, in combination or separately: Etching on copper, drypoint on plexiglass, stone/plate/photo/prontoplate lithography, silkscreen, wood/lino cut, plaster prints, monoprints, gelatin prints. You are asked for a proposal in part so that the workshop is weighted evenly in terms of media – and one area is not used or neglected more than another. This will ensure the best use of the shop and materials. Last day for applications is midnight, Thursday March 15th. Notifications will be sent within two weeks. Confirmation of your acceptance is needed within a week of notification, otherwise your space cannot be held. A $200 deposit is due one week after notification to insure your inclusion in the workshop. This deposit is not refundable. 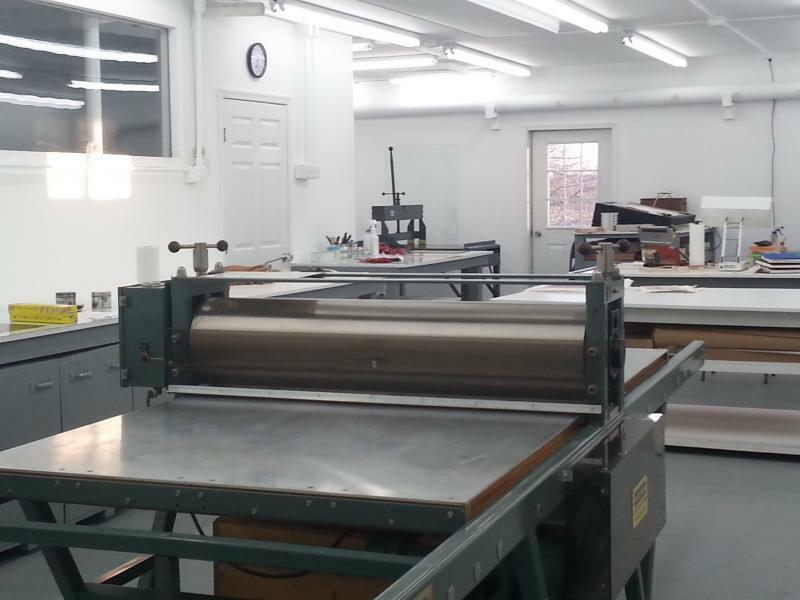 Printmakers Open Forum LLC does not apply for or receive any outside grant funding. This workshop strives to be affordable as a concrete way to pay good fortune forward. "I gained an incredible amount of print knowledge in only a week and enjoyed every minute of it! 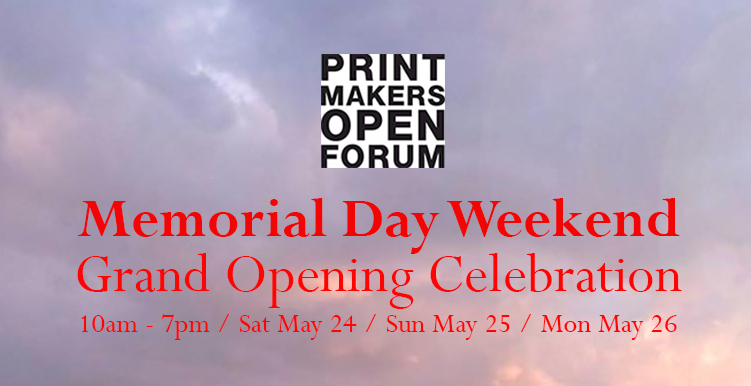 Printmakers Open Forum is its own creative epicenter with a peaceful countryside backdrop. This week was a full of productive and positive energy - it rejuvinated my printmaker spirit!" PMOF speaks! Talk entitled "Live Like Dogs are Chasing You"
above: Jon Irving "lately ive been spilling milk everywhere"
above: Margaux McAllister "Study for Repose"
above: Gillian Pokalo "Industrial Landscape"
*Stanley William Hayter's short film on "A New Way of Gravure"
Part and Parcel. I've put up the proofs for making my latest print, On Any Given Day. the shop is close to complete! ﻿As the current president of the Society of American Graphic Artists (SAGA) I am ushering in our 2nd century in 2015. We've just had a very successful 80th Members Exhibit at the DeLind Gallery in Milwaukee during the Southern Graphics Council International (SGCI) Conference the end of March. The SAGA Council has a show up now at Galerie RECOLTE in Fukuoka Japan, entitled Across the Waters with a catalog on its way. We've just finished producing both a catalog for our 79th Members Exhibition at The Old Print Shop in New York and a new "SAGAzine" downloadable here. 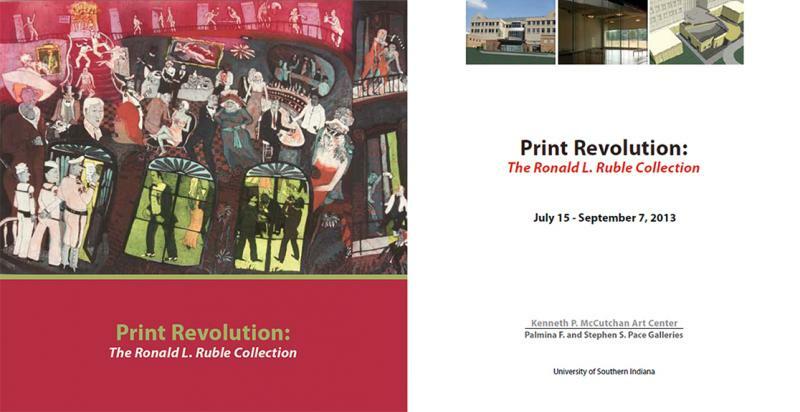 Features include an interview of Richie Lasansky by Michelle Wilson﻿ and an article by Ralph Slatton entitled Dissent in Printmaking. Color into Print is designed to activate and accelerate your interpretation of color. It will generate momentum in your entire art-making practice. The focus is on color monoprint, drypoint, collograph, and simple polyester plate lithography, each printed in concert of the full complement of color options including layered surfaces, chine colle, and viscosity printing. This is precise yet juicy printmaking tailored to the needs of each participant. This is a low-stress, high reward workshop. 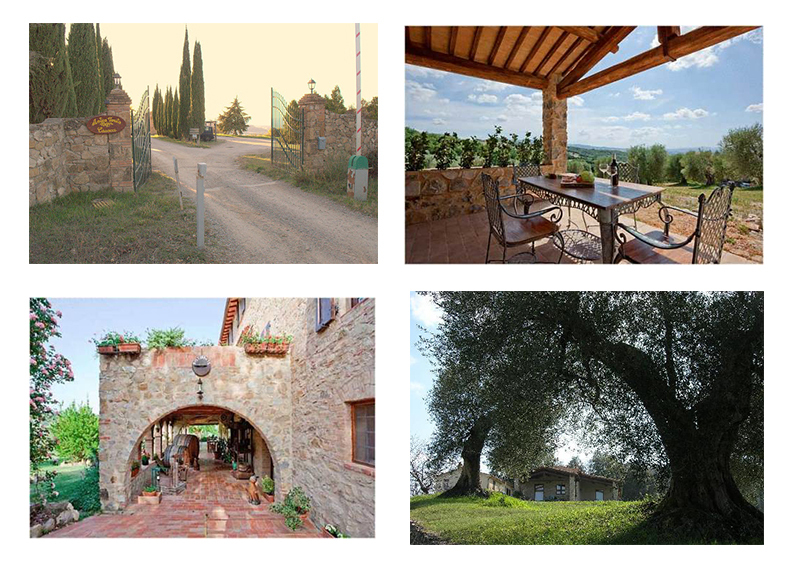 Leave with a record of your color journey in Tuscany. Our Italian Workshop coordinator, Susan Fateh has selected this exquisite new site because it features breathtaking views whichever way you look, ample and well lit indoor work-space opening out onto a private terrace, pleasant, charming bedrooms, and sublime food prepared by a top Roman chef. 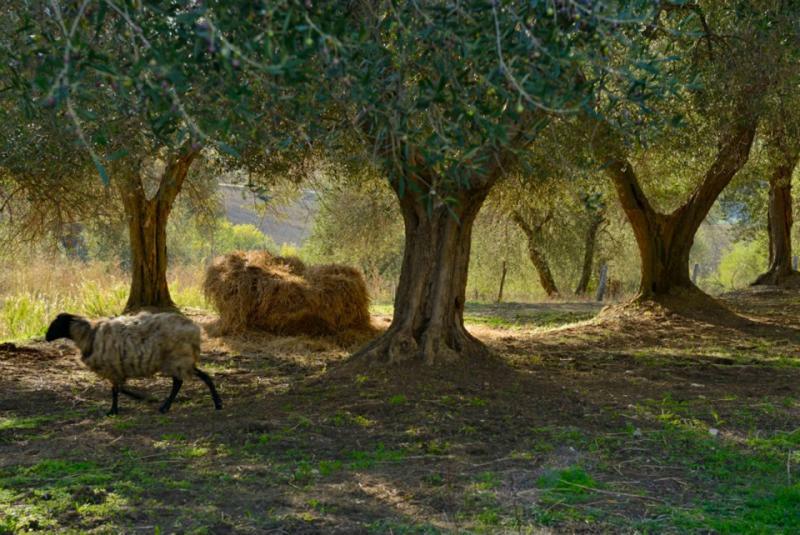 This panoramic location about 3 km from the medieval village of Seggiano. The villa is an ideal place for experiencing fine Italian cuisine in an evocatively authentic setting. Students may opt for private rooms or double occupancy and significant others and/or friends are welcome at a 20% discount. Dating back to the 13th C, the villa's recent renovations have rendered it comfortable without losing traditional character. 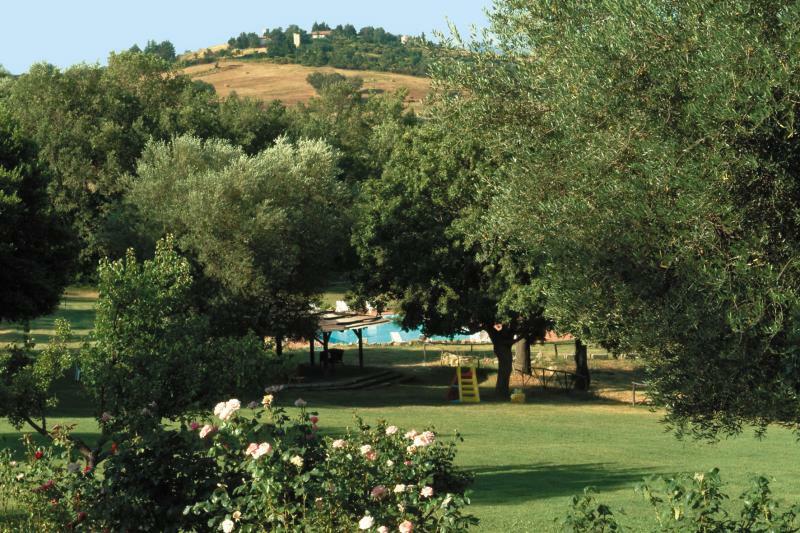 All aspects of the workshop will be held in the original farmhouse on the estate that has its own pool. 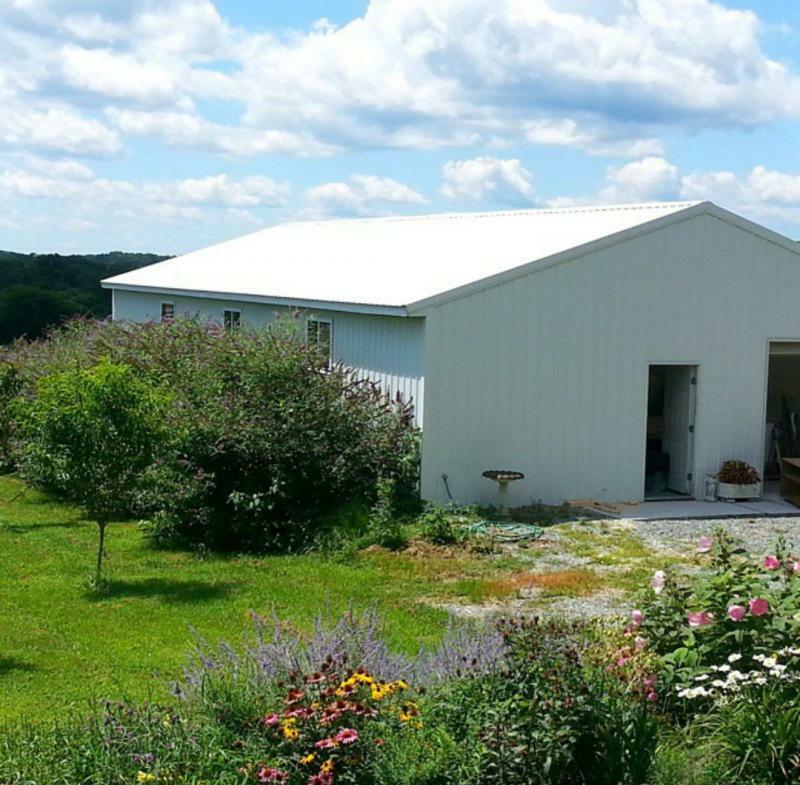 The farmhouse will be completely devoted to Women’s Studio Workshop participants – which can be men and women. The charming village of Seggiano is off the main tourist routes and maintains its traditional Tuscan charm and unspoiled countryside. Students may opt for private rooms or double occupancy. Partners and/or friends are welcome at a 20% discount. On a typical day, the class will run from 9 a.m. to 1 p.m. After a leisurely lunch break you can take a siesta, a swim in their lovely pool or go back to the studio for some quiet work time. Instruction will resume for another 2 hours before the evening meal. The studio itself can be used around the clock. 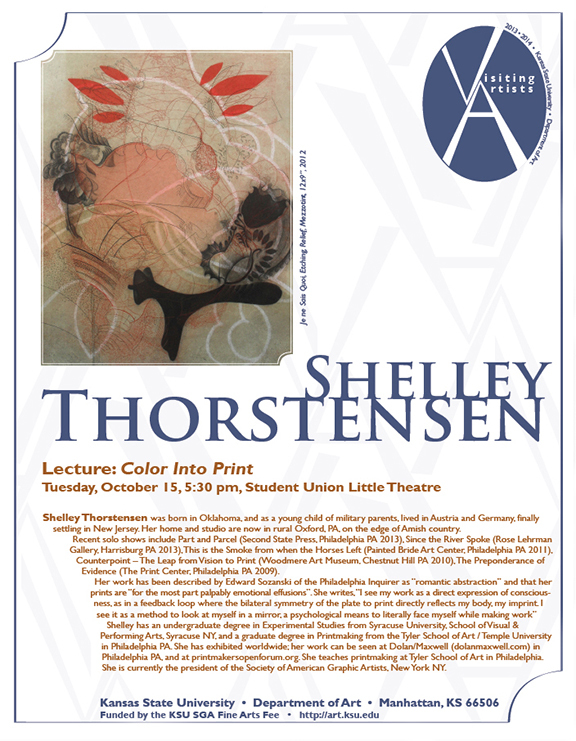 Shelley Thorstensen has expertise in all printmaking techniques. She is a fount of technical knowledge when it comes to color. Her work is part deep personal archive, part printmaking evangelism, woven together in fabric of color, metaphor and commentary. 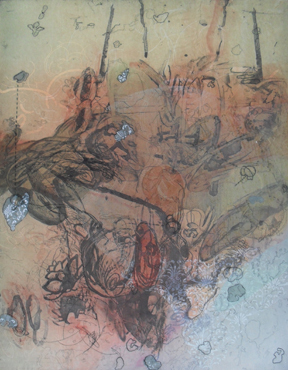 Art critic Edward Sozanski writes of her work “The ease with which she combines these processes and exploits their individual strengths gives her prints uncommon presence and, more often than not, transcendent beauty”. 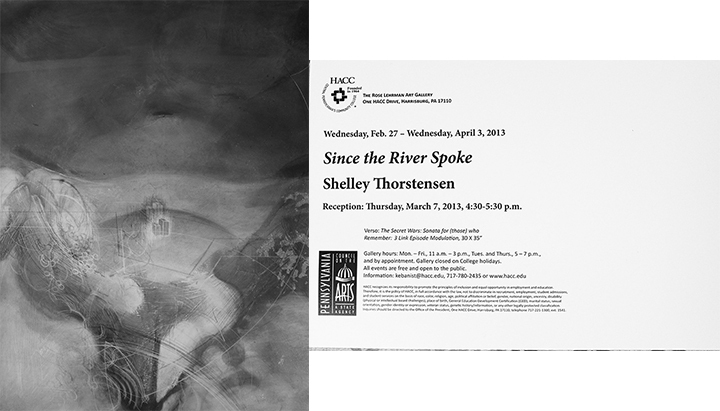 Recent solo shows include: (2011) This the Smoke from when the Horses Left at the Painted Bride, (2010) Counterpoint: The Leap from Vision to Print at Woodmere Art Museum and (2009) The Preponderance of Evidence at The Print Center (Philadelphia). 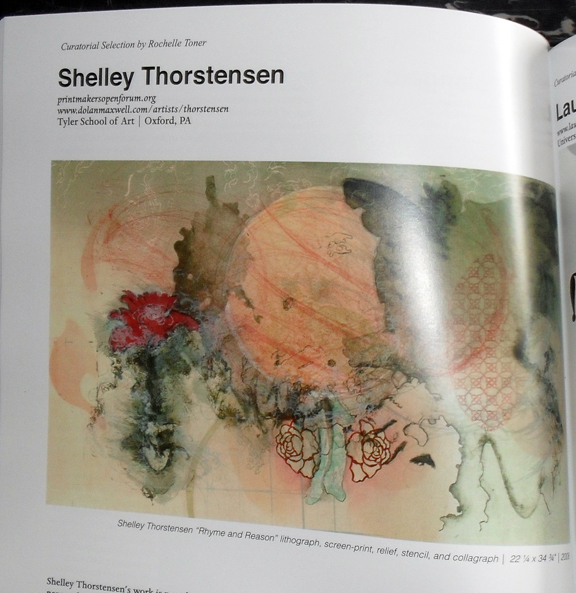 Shelley currently teaches printmaking and drawing at Tyler School of Art. 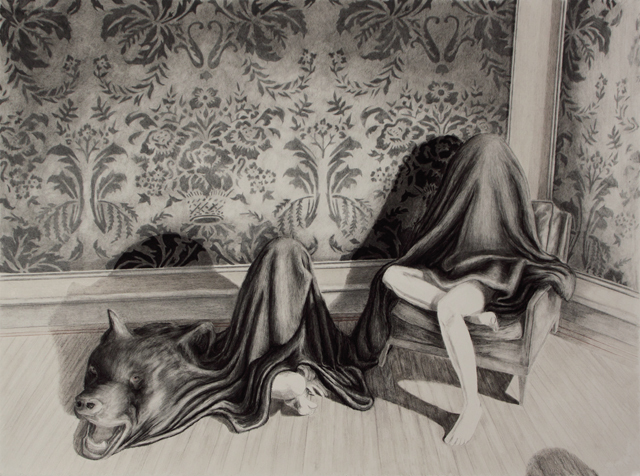 Her work can be seen at Dolan/Maxwell (dolan/maxwell.com) and is collected across the US, Europe and Japan. She is President of the Society of American Graphic Artists (SAGA) in New York City. Susan Fateh serves as the Program Director for WSW's Italy workshops. She holds a BA/Hon. from Scotland, an MFA from NYU, and apprenticed at S.W. Hayter's Atelier 17 in Paris. Susan was a production papermaker at WSW, where she first learned the craft. She has conducted various workshops in Jordan, Trinidad, and Italy, and has coordinated a women's handmade paper self-help group in rural South India. 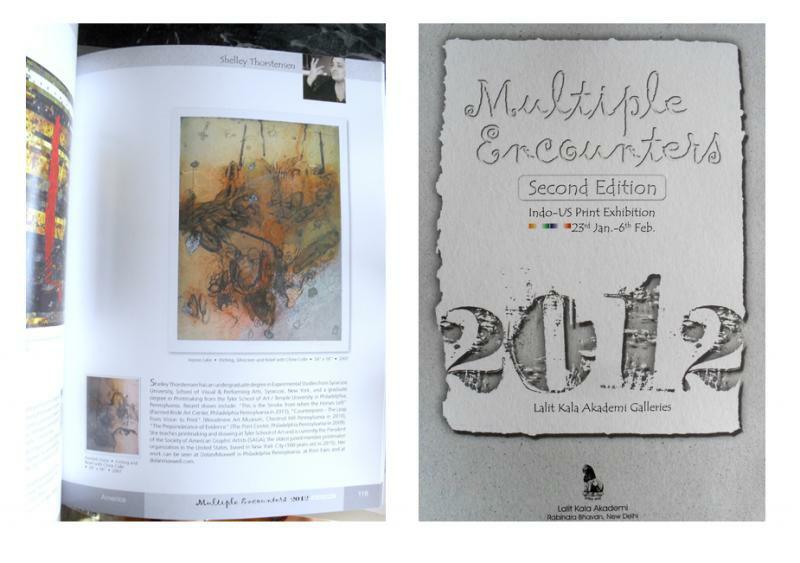 Her own mixed-media works are in diverse collections around the world. For the past ten years, she has lived in Italy with her young son. 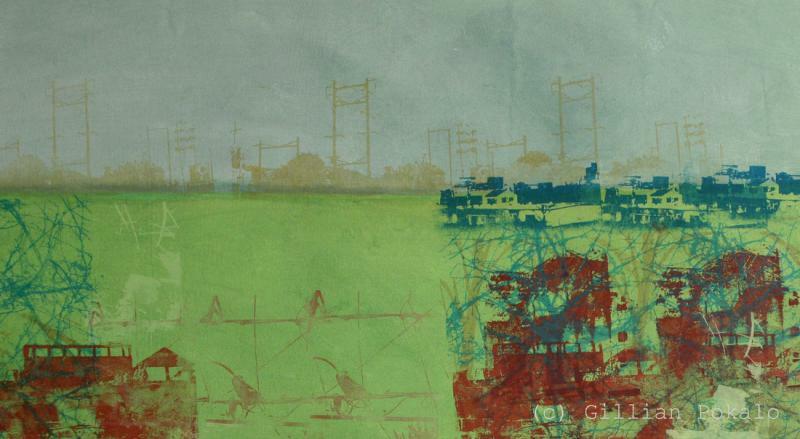 Whether this is your first stop discovering printmaking or you are a veteran printmaker, this class is designed to activate and accelerate growth that can generate momentum in your entire art-making practice. 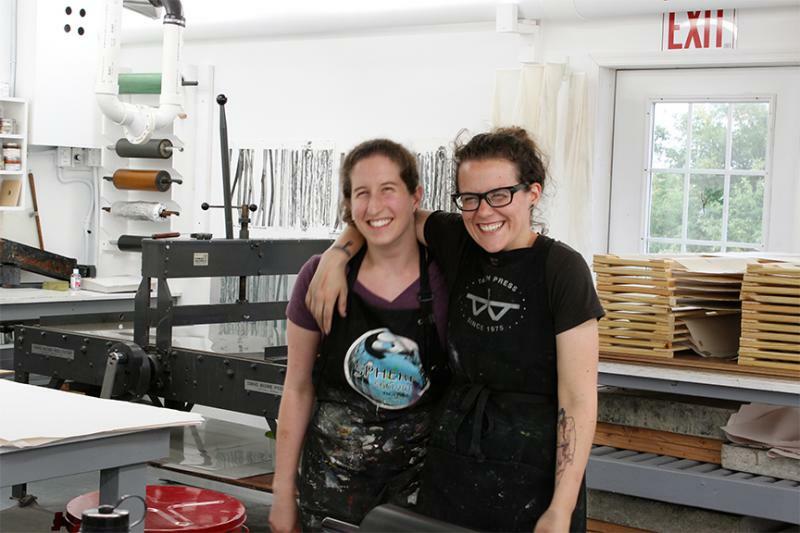 The workshop is designed for both artists working in other print, painting, or drawing media who are interested in the possibility of incorporating some level of print into their work and for artist/printmakers who work primarily on an etching press. This is a low-stress, high reward workshop. Shelley includes in the workshop a series of demonstrations including ways of using color and printing, such as: stencils, a la poupee, chine colle, viscosity, multiple plates, relief and collage with ways to easily and seamlessly incorporate them into your work. Have no fear, this class will help you discover what aspects are unique to you and how to explore, expand and deepen your practice. Shelley will work with you individually to discover what aspects are vital to your work and how to successfully mobilize your vision. This is precise yet juicy printmaking tailored to the needs of each artist. 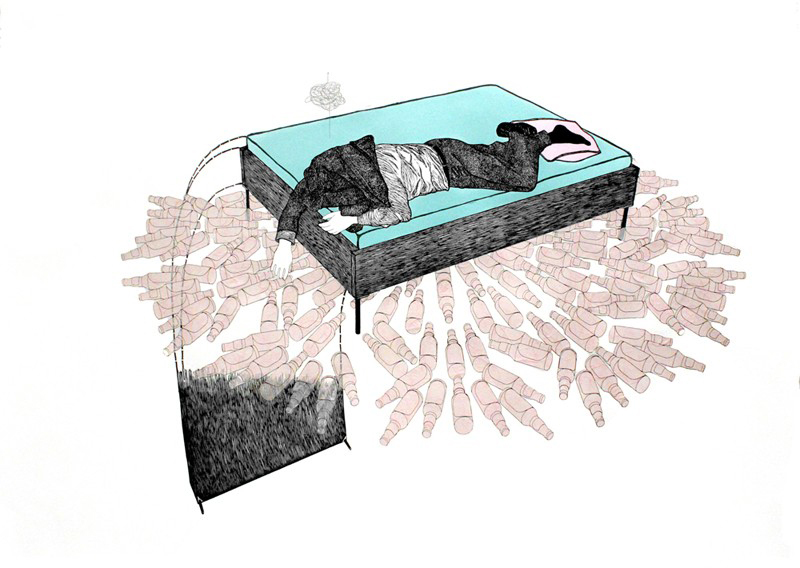 Bring drawings, ideas, prints in progress or just yourself and well take it from there. These intensive workshops are designed for but not limited to artist/printmakers who work primarily on an etching press. It is also a good place for artists working in other print, painting, or drawing media interested in the possibility of incorporating print into their work. Shelley will begin the workshop with a series of demonstrations including ways of using color and printing, such as: stencils, a la poupee, chine colle, viscosity, multiple plates, relief, collage, and digital media. Using your current work and ideas as a catalyst, Shelley will work with you individually to discover what aspects are vital to your work and how to successfully explore and expand your vision. This workshop provides extended work time allowing participants to incorporate new ways of working into their artistic practice. Shelley will organize this period to further examine your work and mindset. 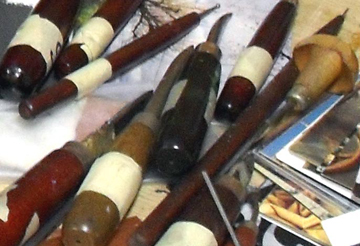 She will include material specific to each participant while encouraging a further understanding of etching. Artists will learn how to seamlessly incorporate handwork such as drypoint and mezzotint on various substrates, editioned monoprint, paper and polyester photo litho, hand-worked and photo based collographs, photocopy transfer; handmade repeatable rubber stamp and registration systems. Shelley will also address possible considerations for content, scale, series, multiplicity, format, paper choice, and available matrices. pictured: Hand to Mouth, Etching, Mezzotint and Relief, 24 x 36"
pictured: Joyous Lake, Etching, Silkscreen and Relief with Chine Colle,18 x 24"
pictured: Rhyme and Reason, Etching, Silkscreen, Litho and Collograph, 23 x 35"
click here for more building progress and presses! 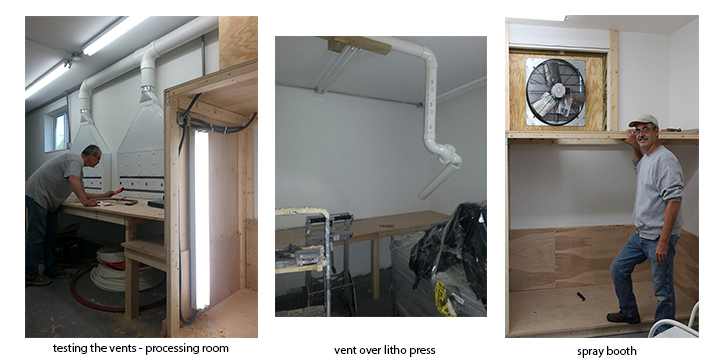 Heres a picture of where the silkscreen washout sink, acid room and the litho graining sink will be situated. BFA program and the newly formed Visual Studies program at Tyler. This summer I became the President of SAGA, The Society of American Graphic Artists. SAGA represents the very best of hand pulled printmaking for the last 100 years with an office on Union Square in Manhattan. Since then, SAGA had its annual Member Show at Prince Street Gallery, NYC June 2011. The Prize juror was Ellen Handy, Art Historian at the City College of New York We had our Annual Award Dinner at the National Arts Club, Gramercy Park NYC this fall honoring long time Council Member, Ann Chernow and past President, Michael DiCerbo. We just deinstalled Hands On, Prints from the Council of SAGA at Helen and Frank Hyders Projects Gallery in Philadelphia. This exhibition opportunity was made available through long time SAGA Council Member, Florence Putterman. The long-version review and insights by Dr.Glenn Benge can be found on the SAGA website. Our next Members' Meeting is at the Westbeth Artist Community Center on May 12th - If you interested in attending, send me a message. 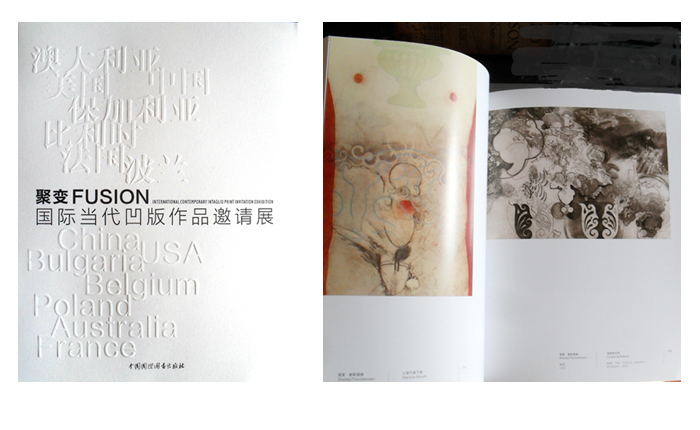 In addition, SAGA's next Annual Member Exhibition is at The Old Print Shop in New York from May 19 - June 29. The opening is Saturday May 19 at 1:00pm. The Prize Juror is Dr. Michael Schantz, Director and CEO of the Hecksher Museum of Art, NY. For the first time, SAGA will be present at the Southern Graphics International Conference, held this year in New Orleans. 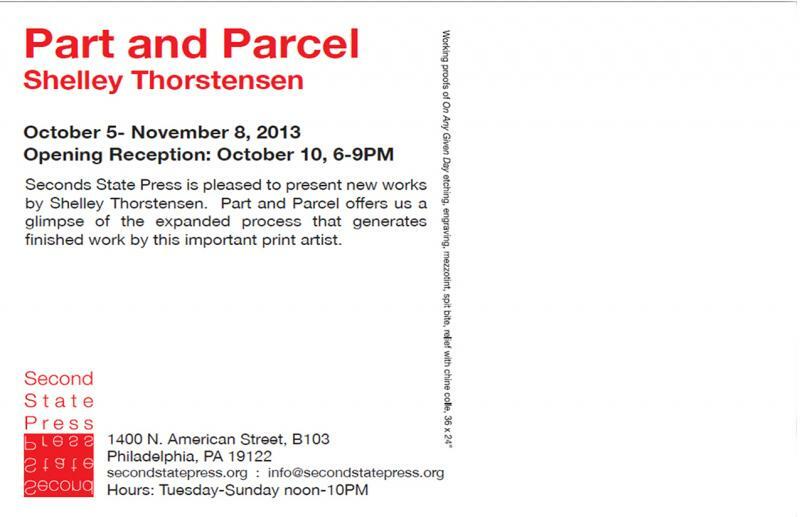 I'll be there so stop by and say hi, and see SAGAs Collector Prints at our Publishers table. 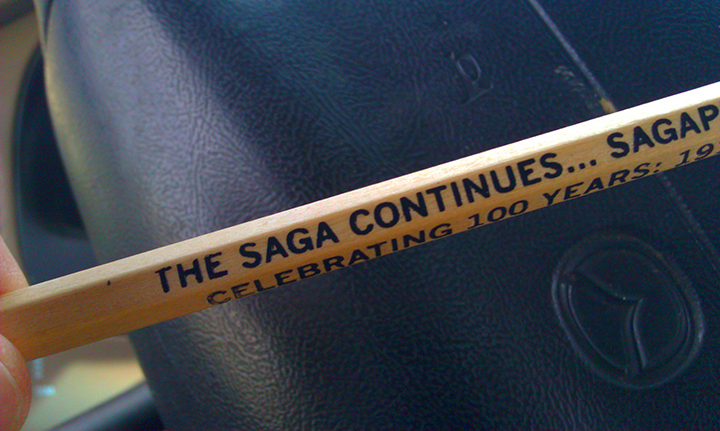 Pick up a forward-looking pencil created to kick off SAGAs plans for its 100thbirthday in 2015. Learn new print techniques and work in one, some or more print mediums. 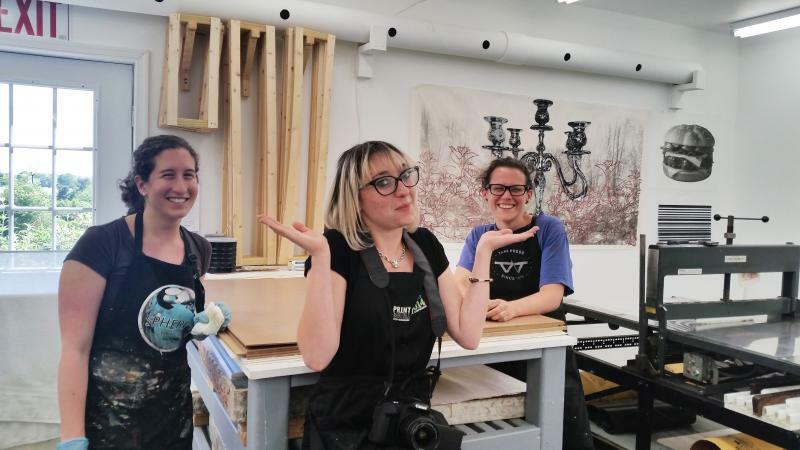 "PrintCamp was a wonderful communal experience; all participants came into it with fresh ideas, little printmaking tricks and skills to share. 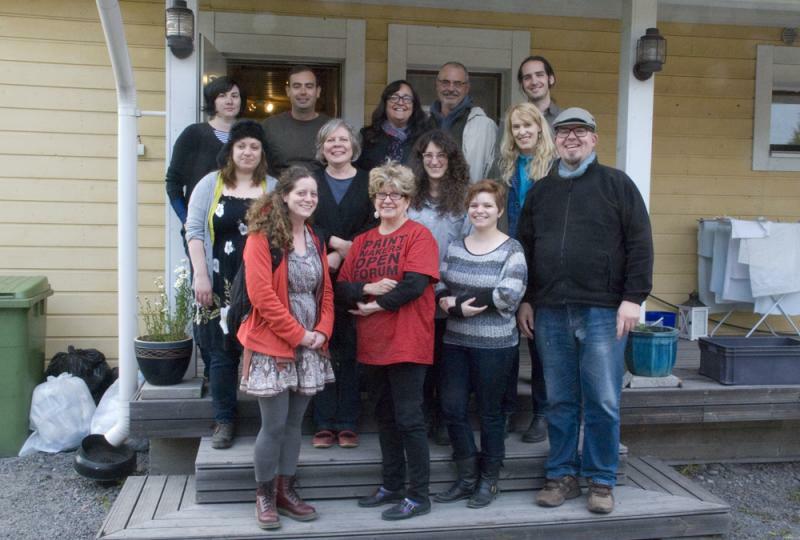 Shelly was a gracious host who offered up her home and studio space to the group as well as her keen attention to the individual needs of folks in the group. 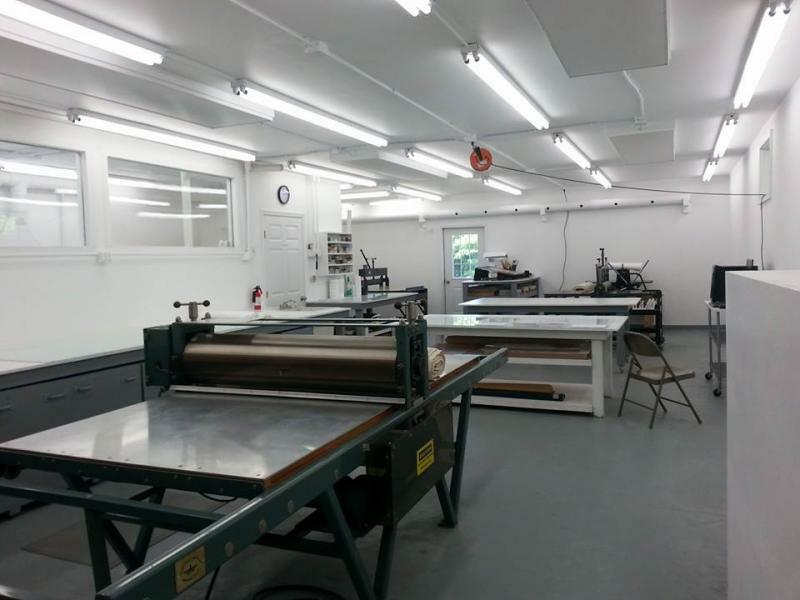 The print studio space was spacious and comfortable to work in, well stocked for most printmaking needs including litho, etching and relief and screen-printing. Shared meals and evening campfires filled the evenings with good conversation and camaraderie!"